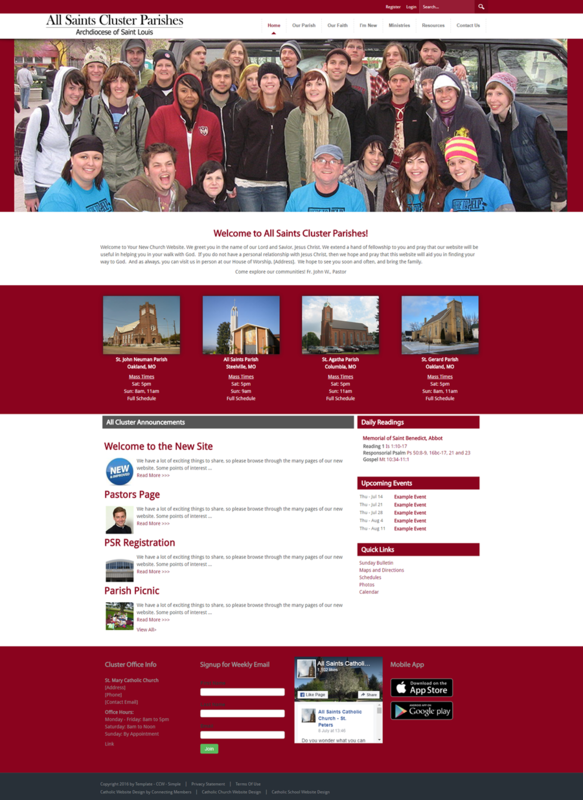 Connecting Members builds great websites for Catholic parishes and schools and "clusters" too. 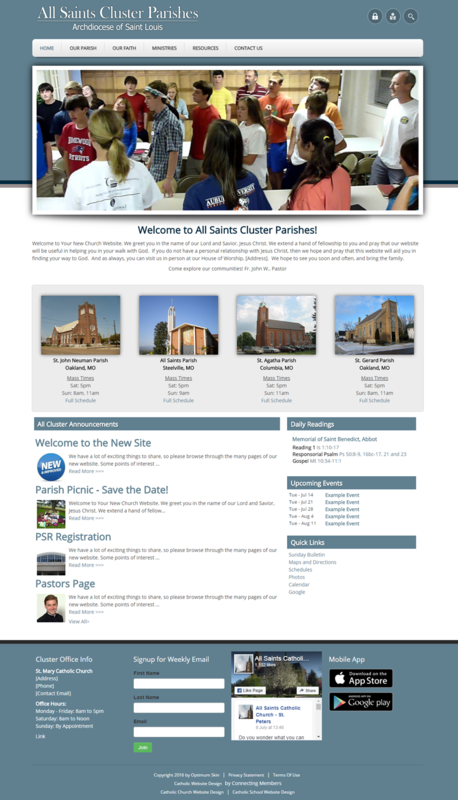 A cluster is “a grouping of geographically bordering parishes working together on a shared vision and ministry plan.” (Diocese of Superior). 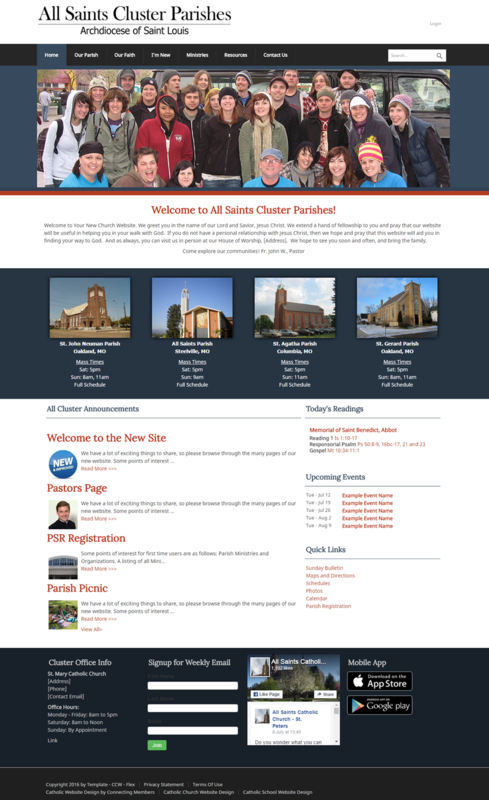 Over the years we've been asked by many parishes to build a design for a "merged" parish or "cluster" parish. 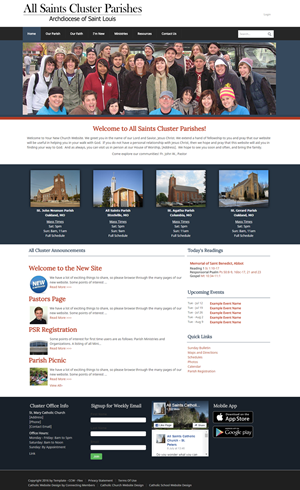 The result is a beautiful design that matches the specific needs of the multiple parish community.Our designs allow the parishes to present a common community feel, yet maintain a unique area for individual church needs. Your website is built with a content management system loaded with features that allows you to edit the website from any internet connection. 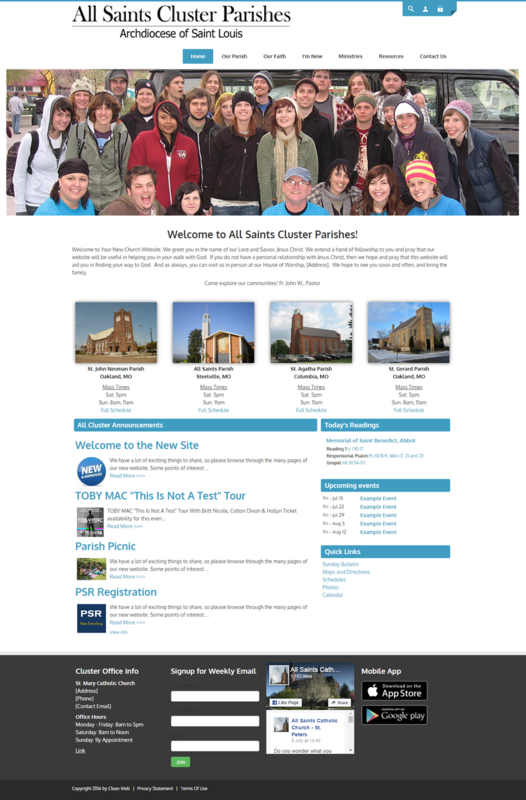 When your parish staff is moving from location to location, they will always have access to the website and files. 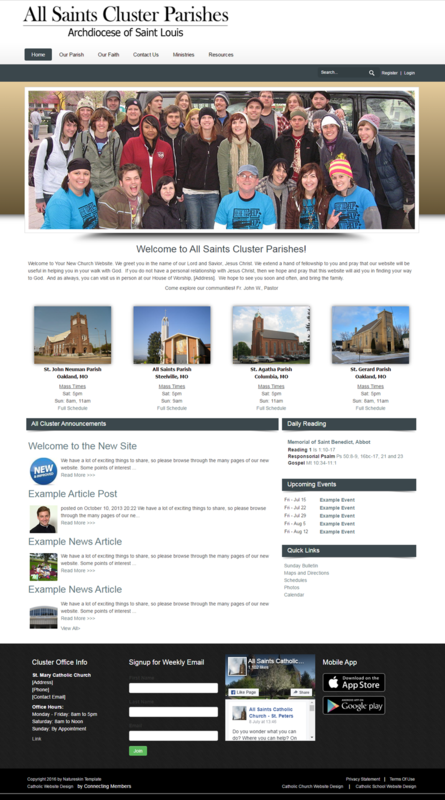 Our websites also allow you to give permission to multiple editors so each parish can manage their own area of the website. These advanced permissions help keep the site in tact even when multiple people are making changes. This is what we do. 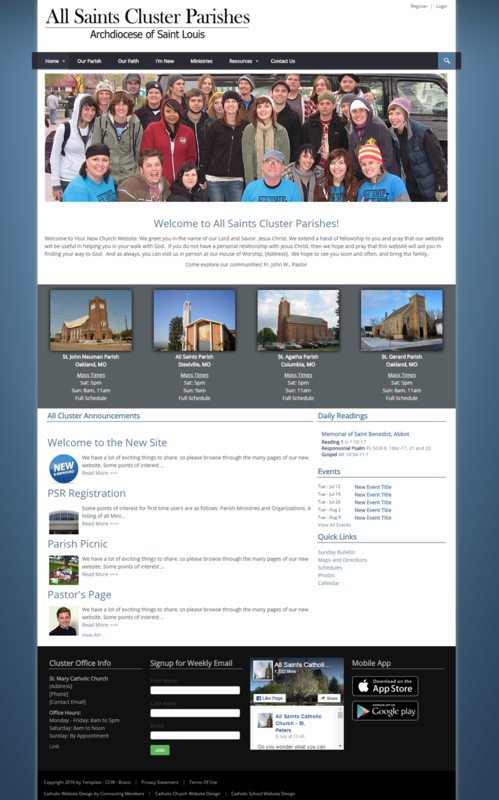 24/7/365 We know parish clusters are typically under-staffed, rely heavily on volunteers and many times things are last minute. That's why we've created a system that can help bring PEACE to your day-to-day church life.